After years of begging for it, Notification Center’s relatively recent addition to iOS arguably came far too late in the game when compared to the feature that often led people to call Android the king of notifications. Right now, with iOS 8 still fresh in the memory, users of Notification Center will have their own thoughts on where the feature is headed. 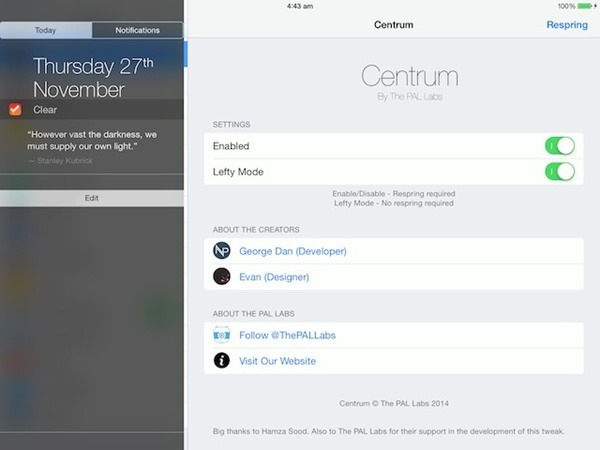 Now very much part of OS X Yosemite, Notification Center isn’t likely to go anywhere soon. Looking at the difference between Notification Center on the iPad and on the iPhone for a moment though, the differences really are non-existent. Even with the extra screen space available on Apple’s tablets, the way Notification Center looks and operates is exactly the same across all of the iOS devices currently in Apple’s stable. For some people that simply won’t do, and for those people there is Centrum. 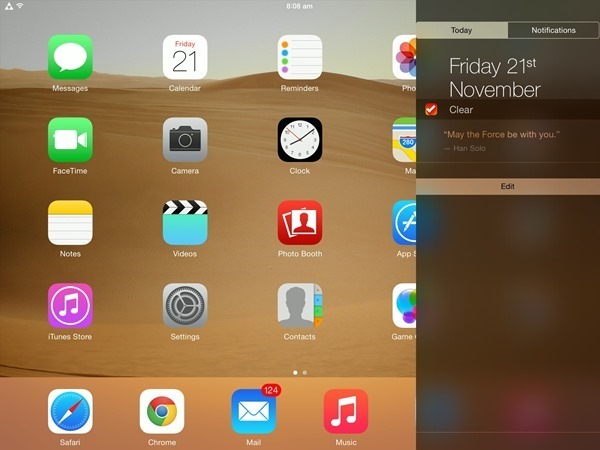 A jailbreak tweak and available for a dollar right now from Cydia under the BigBoss repo, Centrum is an iPad-only tweak that brings a little of the OS X Yosemite to the iPad by pushing Notification Center over to the left or right-hand side of the screen rather than having it something that is pulled down from the top. It also has the added benefit of not completely obscuring what’s happening on-screen, so if you’re using a calculator widget for example, you’ll still be able to see your spreadsheet while doing your sums. Something many will find handy in a lot of other situations too. 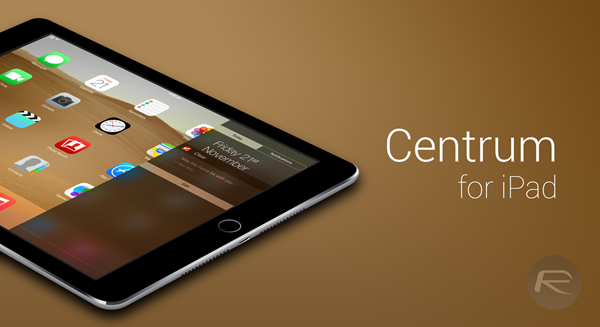 While it’s clearly true the Centrum isn’t going to revolutionize the way you use your iPad, it’s a step in the right direction. Hopefully more features will be added with updates, but for now Centrum isn’t going to break the bank at a dollar just the way it is.